Anonymous, 06 Jun 2014What do u mean by ART conversion?You have option in developer mode to choose art or dalvik. It take about 4-5 min to convert all apps you need just to choose which you like. Art is better! Some local players might offer a better camera but then its better to save and buy a dedicated camera instead of relying on phones. Those local manufacturers aren't providing a good software on their phones anyways so its not worth just for the camera. 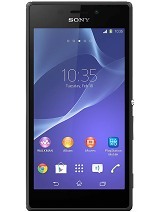 I have this phone and it is AWESOME. The battery lasts for about 3 full days with easy using of wi-fi and 3G, and two full days with extended using of network facebook viber, etc.I am very satisfied with it, it is easy to use with one hand, it is super fast, it is very cool designed, not complicated to use. And its price is very affordable. Punisher, 26 May 2014Just picked this great for value phone. I am impressed for that price. It seems that this phon... moreWhat do u mean by ART conversion? 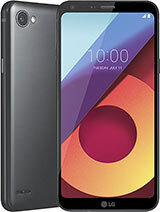 willing to buy this mobile can anyone give review about this mobile? want to know about service centre in tamil nadu? 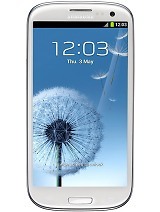 m willing to buy tis phone can anyone give review about this and the detail of the service centre in tamil nadu? Y U No Review this ? Android27, 04 Jun 2014GSMArena seriously, Y U No Review this ?+1 yeah seriously cheap and decent mid-ranged phone!.. GSMArena seriously, Y U No Review this ? sakidaka, 20 May 2014i am using LG and i don't need lights on button. Imagine this, your phone only have several bu... moreI have L7 II with LED button and it's very useful, and doesn't waste battery. I've used phone with and without LED buttons and it was almost the same. without LED lights you would turn on the screen all the time to check and it wastes more battery. and I have my phone with vibrate and sound turned off because I send and receive messages every hours. how do you make a smartphone without an ambient light sensor? Are the folk at LG on crack or what? Its not a convenience, or even a feature. Its a necessity! How does one use a phone without it? Keep adjusting display brightness manually? Plain dumb. Even the cheapest chinese phones have auto display brightness regulation.